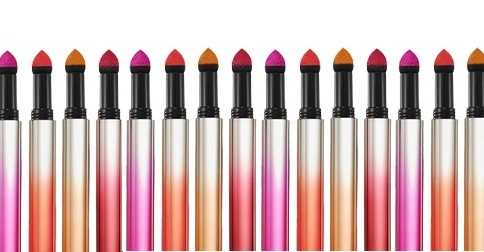 Welcome the new year with shopping! (SPOT.ph) Start the new year right—with shopping and a crash course on some up-and-coming homegrown brands! 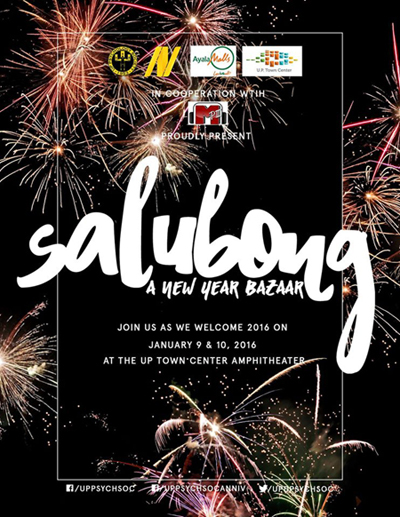 Salubong 2016: A New Year Bazaar is happening this weekend, January 9 and 10, from 10 a.m. to 10 p.m. at the Amphitheater of UP Town Center, Diliman, Quezon City. 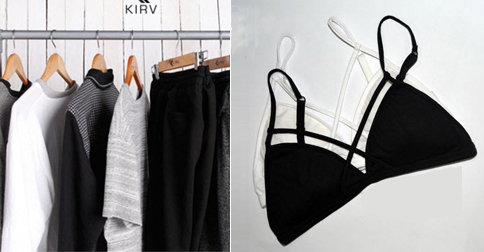 Shop fashion finds from Kirv Apparel, Olivia Bralettes, Basic Dreams PH, among others, and score art and crafty finds from Ooh Craft, Patricia's Artwork, and more. Fog City Creamery will be there, too!